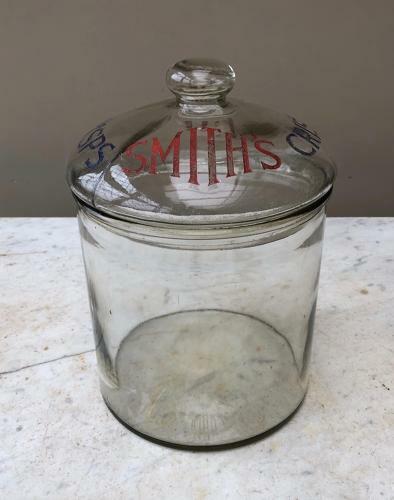 Early 20th Century Shops Glass Advertising Jar for SMITHS CRISPS. Great condition. Etched lid with red SMITHS and blue CRISPS. At the base of the jar at the back in the glass is THIS JAR IS THE PROPERTY OF SMITHS POTATO CRISPS 1929 LTD.